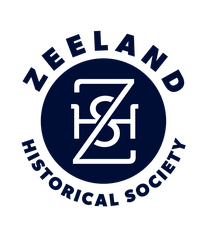 Collect artifacts and printed materials which represent and pertain to the citizens of Zeeland and local communities. Create museum exhibits which befit the immigrant experience of the present day. Provide educational programming in the museum, the New Groningen Schoolhouse and the community. Increase local and regional membership and participation by community involvement. Attain financial stability to carry programs to fulfillment and maintain properties.